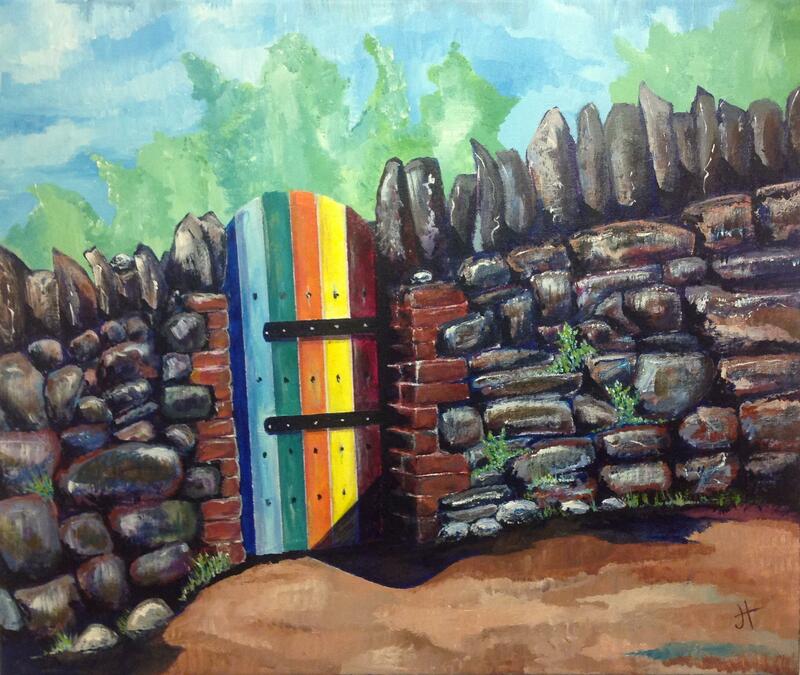 After completing ‘iron gate in Cornwall’ for Isaac’s Way Restaurant’s art auction, I decided to paint a gate just for myself. I liked the small watercolour I did for my first Isaac’s Way auction, so I have painted a version of the scene in acrylics. I like the way the colors in the gate “pop” compared to the rest of the fence. 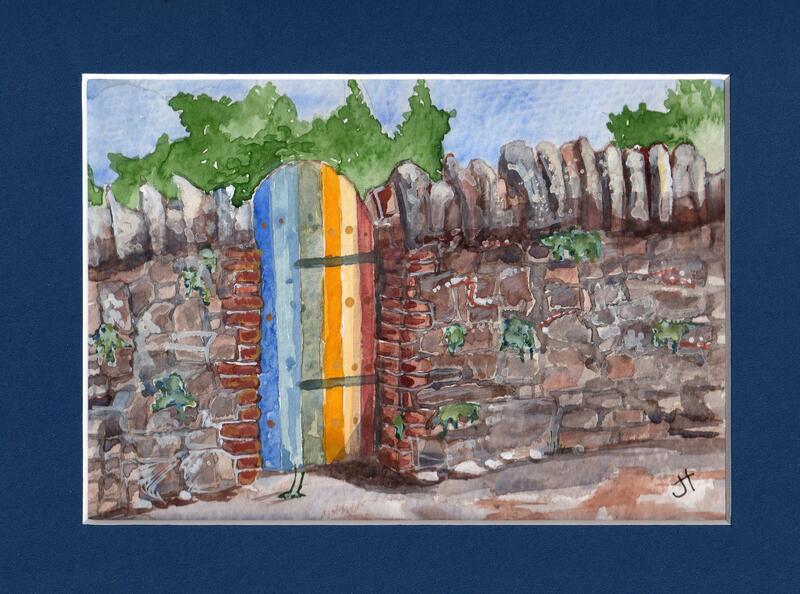 The bright colors draw me to the gate–and make me want to open it and see what is on the other side. Totally love the vibrancy of the acrylic version. I am in smitten with the Cornwall gates.